It's finally March and we're getting excited to get growing again! We'll be starting the first seeds of the season today in the greenhouse and we wanted to share what crops and varieties we'll be growing on the farm this year. We're getting our seeds again from Seed Saver's Exchange and Johnny Seeds. If you are interested in any of these crops for your home garden, please let Farmer Figgins know by emailing ShireFarmMI@gmail.com and we can grow some plant starts for your home garden! Plants are sold in 1 gallon pots for $3.50 each , or 3"x3" pots for $2.00. If you're interested in our CSA and meats, get in contact with us. We need to order chicks and reserve piglets soon! Please get in contact with us before April 1st! We'll be growing much of the same crops as we did last year, for cold season crops we'll have turnips, radishes, lettuce heads, lettuce mix, arugula, spinach, swiss chard, beets, kale, broccoli, cauliflower, and cabbage. New varieties this year are golden beets, mustard, and tatsoi and we'll be trying for those fractal broccoli romanesco again! 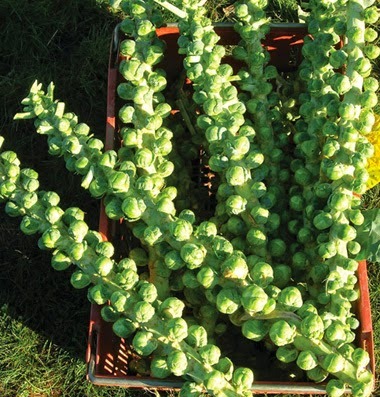 In the fall we'll be having celery, parsnips, and a new crop this year, brussel sprouts. Next to mature in the garden, we'll have green (and yellow and purple) beans, summer squash and cucumbers. Last year, the cucumber beetle took a particular fancy to our variety of pickling cucumber, so we'll be trying a different variety of those this year. We'll be having regular slicing and lemon cucumbers, an old favorite, again this year. We'll also be having onions and trying for better results with shallots and potatoes and carrots again this year. Our soil has not favored those crops so far, our garden sits on what was a hay field for decades so is very compacted. We're going to do some deep soil plowing for compaction and adding our own aged home-grown cow manure for the first time this year. We're very excited to see how productive the soil will be this year. For warm season crops we'll be trying orange and purple bell peppers this year. We'll also be seeing cayenne, jalapenos, anchos, and some new Italian sweet frying peppers. 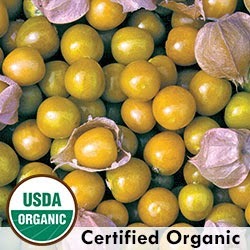 We'll be growing ground cherries again, and trying a cousin of garden huckleberries instead this year, called Sunberry or Wonderberry. 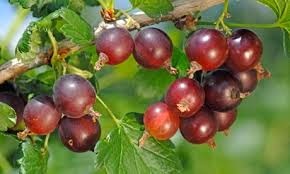 It is a specially bred crop related to garden huckleberries but edible to eat raw! We'll be growing eggplant (less than last year! ), green tomatillos, more cantaloupe and charentais melon, and moon and stars watermelon of course. We'll have jack-o-lantern and pumpkin pie pumpkins, luffa again, and those colorful acorn squash, spaghetti squash, butternut and the delicious delicata squash from last year. Other new varieties this year are Golden Midget Watermelon, Hill Country Red Okra, zephyr summer squash, and a sweet variety of snacking peppers called Lunchbox Pepper Mix. Last year we lost our tomato crop to late blight just as they were starting to mature, so we really missed out on our favorite crop. This year we'll be growing a lot of the varieties from last year--Black Cherry, Black Krim, Kellogg's Breakfast, Amish Paste, Brandywine Suddith's Strain, Wapsipinicon Peach, and Riesentraube cherry. This year we'll also be adding Wisconsin Tomato and Beam's Yellow Pear Tomato to the mix! As for herbs, we'll be seeing much of the same as last year--chives, dill, catnip, sage, oregano, thyme, parsley, cilantro, basil, lemon basil, and tarragon. We'll also be trying stevia and chamomile again, let us know if you're interested in dried chamomile or stevia. New this year, we'll be adding some perennials to the farm! We will be turning some of the garden into a permaculture area for the CSA herbs. We'll be transplanting wild black raspberry and red raspberry bushes and currant bushes that grow around the farm. 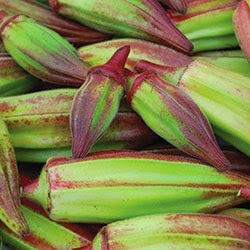 We'll divide and transplant more rhubarb from our old plants, and take cuttings from our own gooseberry bush. We also purchased some everbearing strawberries, a jostaberry bush, and asparagus for this area. We also will be putting in some trees this year. Trees are wonderful for providing shade and shelter for livestock, as well as a possible source of feed. For these reasons we're going to be planting a walnut tree, pecan tree, and two mulberry trees! 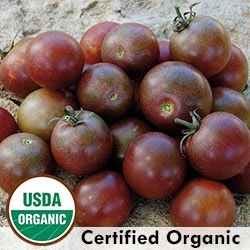 It will be a few years before they're producing a crop, but we'll be adding much of this to the Produce CSA Shares. 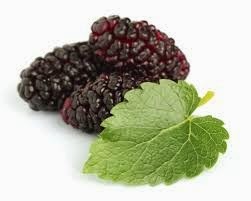 We're especially excited for the Mulberry trees, these are fast growing large trees that bear huge crops of mulberries, dark large berries much like blackberries, great for jams, preserves, wine. We're looking forward to mulberry ice cream and pie. 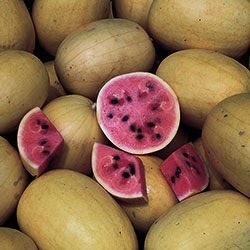 They also are great feed for chickens and pigs, and I know ours will be glad to have it added to their seasonal menu.